Google Search just killed off Instant, one of the most unique features of its search engine – and one you probably never really used. For those not familiar with the nomenclature, Instant was first introduced in 2010 and provided immediate search results as you typed. While Google will continue to provide search suggestions as you type, it won’t actually load any search results until you select one of those suggestions or press enter. Basically, most people do their searching on mobile nowadays, where Instant never really made much sense. Fine by me. 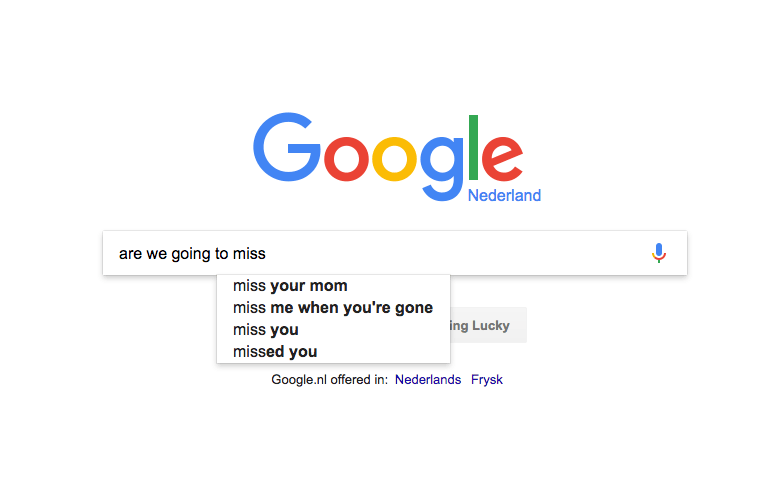 While Google’s search suggestions can be useful and funny (or occasionally offensive), I can’t recall ever actually using the Instant results below them. I do most of my Googling from my phone, and if I’m on a desktop, I’m probably using my browser’s address bar (which doesn’t trigger Instant search). It doesn’t seem anyone else at TNW used it either. Worst case scenario, those results are only an extra click away. If I hadn’t read about Instant being removed, I probably would’ve never noticed. Chances are most people won’t miss it either.